Loved by many, this is the most famous cycling trail in Europe. The route is smooth, easy, and stunningly beautiful. Ride through pretty Austrian towns providing excellent services for cyclists. From Passau, you will ride right along the Danube in a deep river valley with castles and churches perched overlooking the river. See the romatic river meanders near the town of Schlogen, and the vineyards, meadows, and orchards of the Wachau wine region. 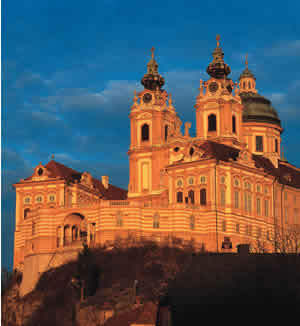 Continue through small towns with rich cultural heritage: Melk with its beautiful monastery, Grein, and Krems on to the graceful city of Vienna.